 In the years this business has traded locally, we at Think Local have heard nothing but glowing reports of the service they provide, and that they are highly thought of. In our relationship with them over time, we have found them to be a delightful bunch, who is always willing to go the extra mile. For 45 years the Higgs family has made caring for pets their business. 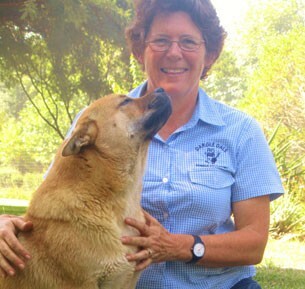 Irene Higgs established the kennels in 1969, and together with her husband Derek Higgs, a well known dog breeder, built an efficient clean, and caring home-from-home for pets. 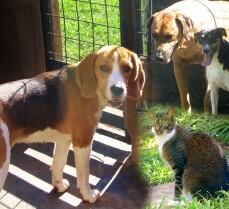 The family, who run the kennels, all have a deep love and respect for animals. 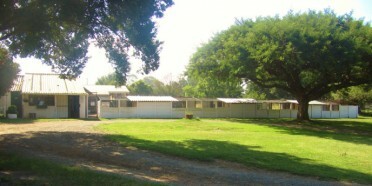 The Country Hotel for Pets. We understand there's no place like home, so we go to great lengths to make sure our country hotel comes a very close second. 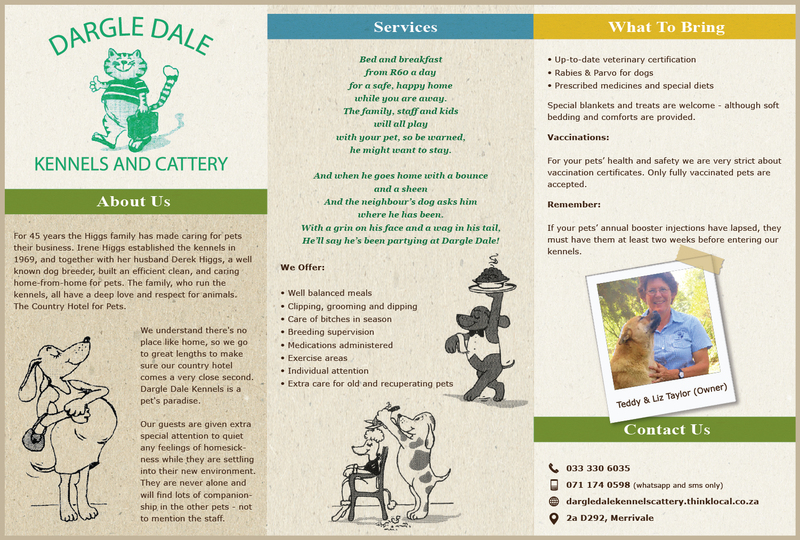 Dargle Dale Kennels is a pet's paradise. 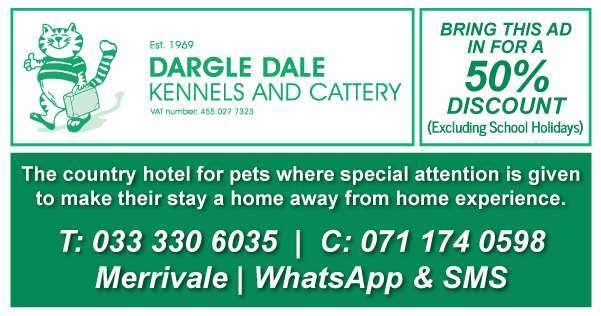 Bed and breakfast from R60 a day, for a safe, happy home while you are away. 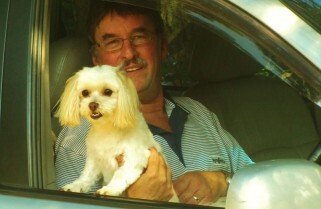 The family, staff and kids will all play with your pets, so be warned, he might want to stay. 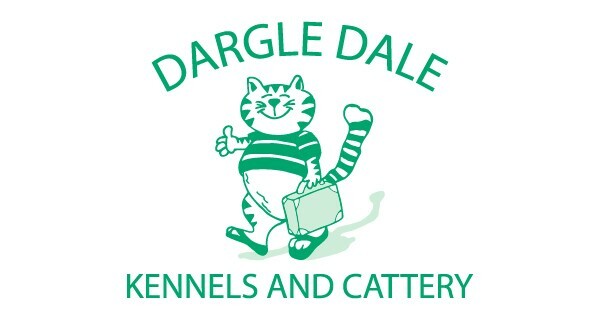 And when he goes home with a bounce and a sheen, and the neighbour’s dog asks him where he has been, with a grin on his face and a wag in his tail, he’ll say he’s been partying at Dargle Dale! Special blankets and treats are welcome - although soft bedding and comforts are provided. For your pets’ health and safety we are very strict about vaccination certificates. Only fully vaccinated pets are accepted. If your pets’ annual booster injections have lapsed, they must have them at least two weeks before entering our kennels.